People, we are having a sale of Bananas proportions! Mememe and Two are cleaning out our rails for Spring and we need your help. Before we put out the new spring stock from our wonderful designers, we're having a spring cleaning sale. 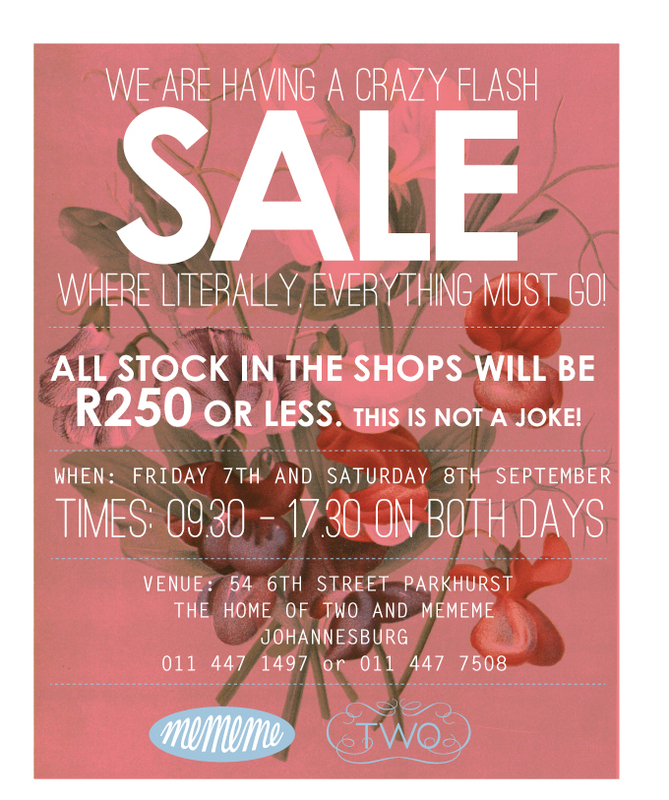 Everything will be R250 or less. I will say no more about this. See you there.